CCM was called in 2007 to start feeding families and their children in Berkeley County. Under the CCM umbrella of ministries is Kidz Power Pacs (KPP). 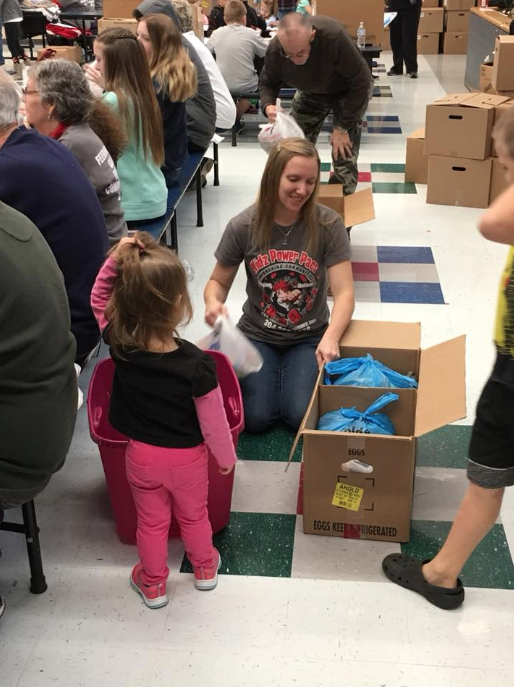 God’s vision continues to grow as KPP covers Berkeley and Jefferson Counties feeding on average 900+ children / 39 schools. We bulk order monthly and do not source any foods from any food banks. We are able to do this through prayer, sponsorship’s, donations, food drives and fundraisers. CCM is a “ministry” with heart and we love serving others as Gods hands and feet in our community. Come grow with us! Volunteers of all ages always warmly welcomed. Families encouraged to serve. Community service hours available. Small groups welcome too. Invite a friend or two. Packings are held at Eagle School Intermediate, Martinsburg. Come to the back parking lot and enter through the cafeteria door. Go straight down the hall to the cafeteria. Come and stay as long as you like. There is no sign up required to help and no required limit on the time you can help. Come and go as you like. Friday Unload / Prep is very important. If you can’t join us Saturday, Friday is a great option for helping. Make new friends and help serve our community side by side. Packings are an epic time of fun, laughter, fellowship, sharing and more featuring live worship music and hospitality tables with light breakfast goodies/ coffee/beverages and bottled water to start your day. CCM is proud to be selected as part of the NIP (Neighborhood Investment Program) for WV. It’s a win-win. For each $500 donation, receive a $250 tax voucher!! To learn more about NIP and sign up for NIP vouchers, contact us today!!! Hurry! Limited vouchers available. Join our monthly email list and stay up to date on current events and more. Facebook message us today! CCM is a 501(c)3 non-profit. Your donations are tax deductible.